Scream: Two horror-obsessed teens set out to recreate a scene from their favorite movie. Their target? An innocent girl who thinks they’re her friends. Moon Madness: A little girl missing from a hospital ward, a frantic search by moonlight, a killer lurking in the shadows. 666: Deep in the Russian woods, a group of teenage Satanists are preparing for a ceremony, one that will come as a nasty shock to their newest recruits. The Killer Online: The murky waters of Internet dating are said to hold plenty of fish. Unfortunately, there are sharks too. Killing Mary: The victims had the same name and were murdered in the same city, within days of each other. Coincidence? Or something more sinister? 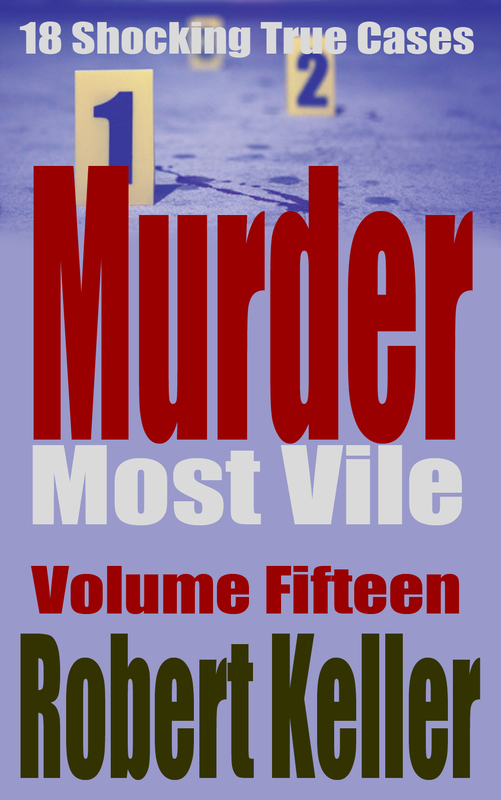 A Twist in the Plot: A budding author challenges his friends to come up with a plot for the perfect murder. He has no idea that one of them will take the task literally. For My Sister: The police said it was a missing person case but Teresa was convinced that her twin sister had been murdered. Now all she had to do was prove it. Death of a Fat Man: A brilliant detective is faced with a unique challenge - solving the murder of a man who everyone hated. Lesbian Vampire Killers: Four young women cruising the darkened streets of Brisbane, Australia - looking for blood. Thirteen Steps: A disgruntled employee hatches a plan to get back at his former boss, with catastrophic results for an innocent little girl. 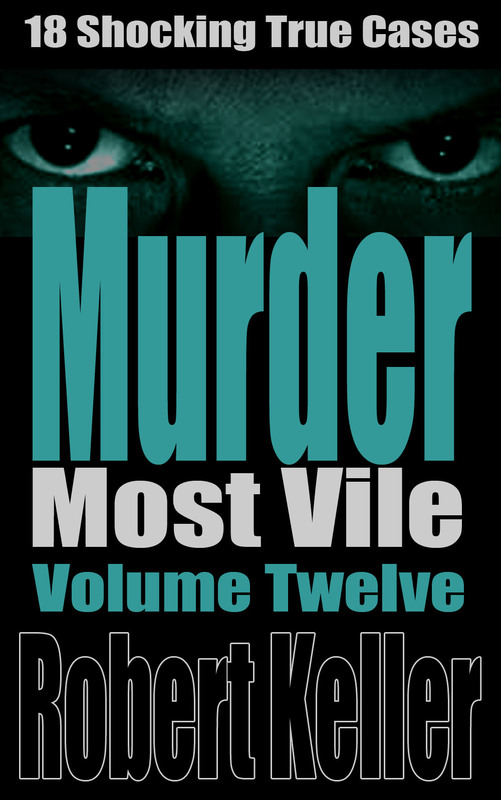 Plus 8 more riveting true crime cases. Click here to get your copy now. When legendary horror director Wes Craven released the teen slasher movie Scream in 1996, he probably had no idea how successful it was going to become, spawning a franchise that has grossed over $600 million in revenue. The plot after all, is hardly original. A group of high school students is terrorized by a masked killer who stalks and kills them one by one. When the murderer’s identity is eventually revealed, he turns out to be not one, but two of their classmates, working together. Director Craven has admitted that the story was inspired by the real crimes of notorious serial killer Danny Rolling, alias The Gainesville Ripper. What is less well-known is that the movie itself inspired a particularly bloody murder. 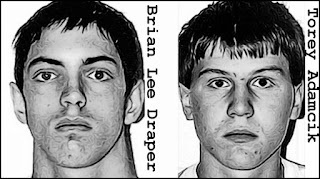 Brian Draper and Torey Adamcik were a couple of apparently normal 16-year-olds, attending Pocatello High School in the city of Pocatello, Idaho. Torey had grown up in the area, while Brian had moved there recently from Utah with his family. The two were soon firm friends, drawn together by their mutual love of films, particularly horror movies. Torey in fact had ambitions of attending film school after graduation and had dreams of becoming a movie director. He was seldom, if ever seen without his video camera, shooting random footage and sometimes conducting impromptu interviews with his fellow students. Of the two Torey was the more popular among his peers, Brian the more introverted. But they did have a few mutual acquaintances, notably Cassie Jo Stoddart and her boyfriend Matt Beckham. Like Brian and Torey, Cassie was in her junior year at Pocatello High and she and Matt were on friendly terms with the boys. What Cassie could not have imagined was that Brian and Torey were planning a massacre, with her the intended victim. Where exactly this diabolical scheme had its genesis is difficult to fathom. After the event, Brian and Torey would both play the innocent and try to shift the blame to the other. But there is a substantial body of evidence to suggest that they were equally culpable. They certainly brought out the worst in one another, Torey with his slasher movie obsession and Brian with his admiration of Eric Harris and Dylan Klebold, the Columbine High School shooters. What we know is that in the months leading up to the massacre, they began shooting video footage in which they candidly discussed their worldview and their ambitions to become serial killers. That particular clip was recorded on September 21, 2006. By then, Draper and Adamcik’s plans for mass slaughter were already well evolved. Three weeks earlier, Adamcik had called an 18-year-old friend named Joe Lucero and asked if he would buy some knives for him. Lucero had agreed and the two of them, together with Draper had gone to a local pawn shop and purchased four hunting knives for $45. But the murder would not take place on September 21, probably because Cassie Jo Stoddart’s parents were at home. The would-be killers then staked out the house of another potential victim before deciding that there was too much risk involved. They then called it a night. Their tilt at infamy would have to wait. “Hello,” Cassie replies smiling and waving at the camera. Within twelve hours of that segment being filmed, Cassie Jo Stoddart would be brutally slain by the youth behind the camera and his warped cohort. Adamcik and Draper arrived at the Whispering Cliffs residence at around 7 p.m. on the evening of Friday, September 22. They spent around two hours chatting and joking with the two young people they intended killing. Then at around nine, Adamcik abruptly announced that they had to leave. Some fifteen minutes later the power at the home went out. That frightened Cassie and so she asked Matt if he could stay the night. Matt then phoned his parents and asked for permission to sleep over. His mom however said no and confirmed her prior arrangement to pick him up at 10:30. By the time she did so, the electricity had been restored and Cassie was feeling slightly less anxious. Little did she know that it had been Adamcik and Draper who had tampered with the power supply and that they were at that very moment hiding in the dark and watching the house. About half an hour after Matt Beckham departed, the lights went out again and this time the killers crept forward, gripping their recently acquired blades. Cassie Jo Stoddart’s body was not discovered until her uncle and his family returned home on Sunday evening and walked in on a bloodbath. 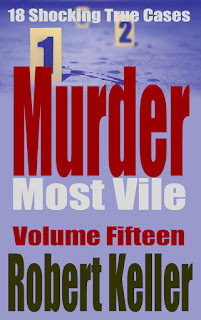 The subsequent autopsy would reveal the true horrific extent of the murder. Cassie had been stabbed thirty times, with twelve of the wounds considered “potentially fatal.” The pathologist also determined that two weapons had been used in the attack, one with a serrated edge, the other non-serrated. In view of the defense both killers would soon raise, this was a vital piece of evidence. And tracking down those killers would be a relatively straightforward task. After Matt Beckham revealed that Draper and Adamcik had been at the house on the night of the murder they were questioned as potential witnesses. However, their answers to questions asked by investigators soon roused suspicion and before long they were elevated to the head of the suspect list. Both however insisted that they knew nothing about the murder. According to them, they’d gone to a local movie theater to watch a film called Pulse. They were even able to provide ticket stubs, although neither seemed to have the slightest idea what the movie was actually about. Caught out in that lie, Draper changed his story. He now said that he and Adamcik had agreed to use the movie as an alibi. They had actually been out breaking into cars. This admission was an immediate red flag to investigators. Experience told them that criminals hardly ever admit to a crime unless it is to cover up a more serious offense. Moreover, there had been no reports of burglarized vehicles in the area in which Draper claimed to have been operating. Convinced more than ever that Draper and Adamcik were lying, the investigators increased the pressure. It was Draper who cracked first. During the course of his third interview on Wednesday, September 27, 2006, he admitted that he and Adamcik had gone back to the house after Beckham had left. They’d entered, he said, through a door which they’d deliberately unlocked earlier in the evening. According to Draper their intention had been to give Cassie a scare. But then Adamcik had drawn a knife and started stabbing Cassie. Draper initially denied hurting Cassie but he later admitted to stabbing her in the leg and chest. He’d only done so, he said, because Adamcik had threatened to kill him if he refused. Draper also agreed to show police where he and Adamcik had disposed of the murder weapons and later that afternoon led a contingent of detectives and crime scene investigators to a location at Black Rock Canyon. Here several items were recovered, including bloodstained clothing, latex gloves, three daggers and a Sony videotape. An attempt had been made to damage the tape but a police expert was able to recover the recording, which included some of the material mentioned earlier in this article. Particularly telling however, was a segment apparently filmed directly after the murder. Draper and Adamcik are in a car driving, with Adamcik at the wheel and Draper holding the video camera. Brian Draper and Torey Adamcik were tried separately for the murder of Cassie Jo Stoddart. At trial, each of them attempted to shift the blame to the other and to portray himself as having been coerced to participate in the murder. The videos, so meticulously compiled by these wannabe filmmakers told a different story, proving that each was equally liable. The juvenile killers were both found guilty and received identical sentences, life in prison without the possibility of parole. They are currently incarcerated at the Idaho State Correctional Institution near Kuna, Idaho. Appeals to the US Supreme court by both killers have been denied.